Peter’s eyes closed and his fists clenched. 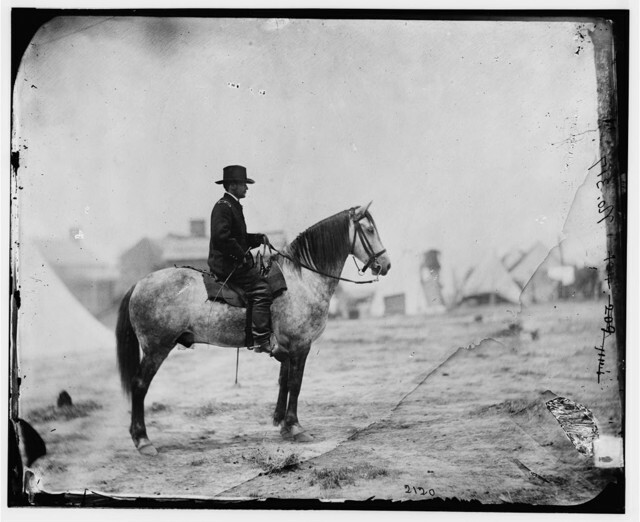 “I’m a son of the South and she is a demanding mother. Even though sympathetic to the North, Mama Dixie will insist on my allegiance. I’m an officer and will be called to command. Mostly boys I fear. War always takes the young first. I’ll be responsible for their very lives.” His shoulders slumped. “I fear the task is too great. How can I save them, Mother? It frightens me to my very core. Thunder rumbled in the distance. At storm brewed and rain clouds ushered in not only a change in weather but in his attitude as well. The air crackled with tension and a dark, uneasiness swirled with the wind. Lightning flashed and so did his eyes. Lieutenant Peter James Montgomery is a tortured man who drinks to forget a promise made in cold-blooded anger—a promise that should’ve been broken. Is the responsibility of Unit 547 his atonement or punishment? 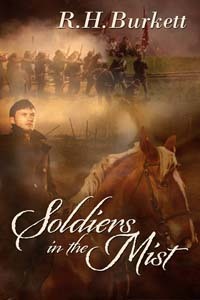 Read Soldiers From the Mist and find out. 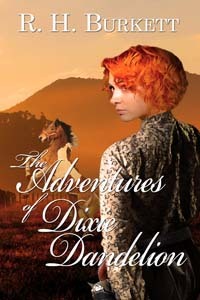 Available on Amazon Kindle. Download now! This entry was posted in Peter Montomery, R.H.Burkett, Ruth Burkett Weeks, Soldiers from the Mist, Unit 547. Bookmark the permalink. 6 Responses to "Does Father Still Beat You?" One of many gripping scenes, Ruth! What a great read! Oh my God, Ruth! What a blurb! Now, I want to read Soldiers From the Mist again! I finished "Soldiers From the Mist" last week. Loved it! When I saw your book trailer, I knew I HAD to get it–so thrilled to get it at the last OWL meeting. The book lived up to the wonderful trailer–both are wonderful!Merry Christmas to you. I'm looking forward to reading more from you. Palooski65: I'm so glad you like the book! 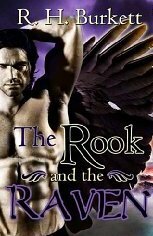 I do have a paranormal romance comning out in February from The Wild Rose Press as a e-book called The Rook and The Raven. More info will be forthcoming. Thanks for the comment! Jan, thanks for the comment! Your turn will be coming in 2012! Luna,I have a replacement book for you because the other one fell apart. Then you can read it again.